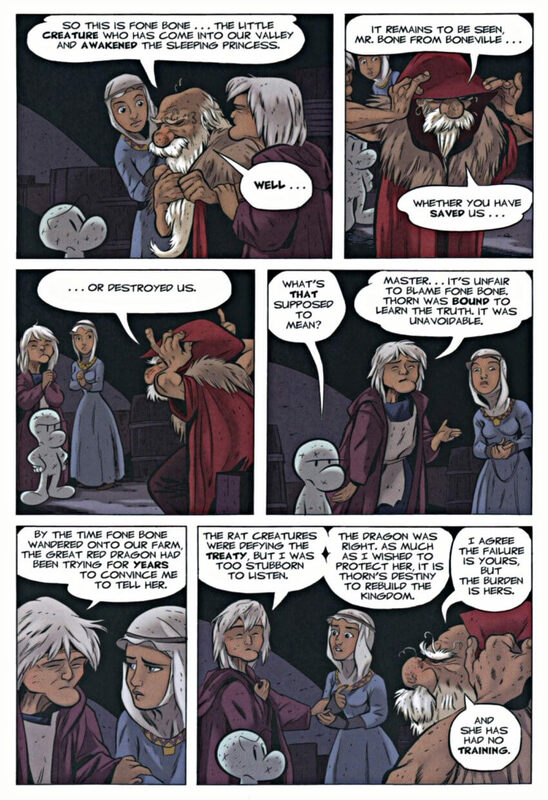 Chapter 6: The Crown of Horns – page 107 of Bone 8: Treasure Hunters. The epic Bone Comic series by Jeff Smith continues with the 8th collected graphic novel edition. The Bone cousins (Fone, Phoney, and Smilley) and Gran’ma Ben, Thorn, and the surviving inhabitants of the Valley take refugee at the old capital Atheia. But in that city, they find a new opponents who condemn everyone affiliated with the Dragons.